If you need a cooling flush or any service on your vehicle, we invite you to schedule a service appointment with our automotive team at Wayne Akers Ford. We look forward to servicing your vehicle. 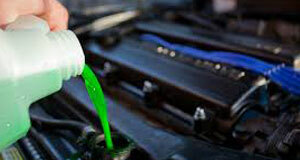 Our certified automotive technicians at Wayne Akers Ford regularly perform coolant flush services. Not only can they provide maintenance for Ford vehicles, they are skilled at fixing all makes and models of cars. Whether your car is a high-performance vehicle or a compact car, our certified automotive technicians will diagnose and fix any repair that is needed for your car. In addition to coolant flush services, our certified automotive technicians repair brakes, align and balance wheels, change oil and filters, repair transmissions, overhaul engines, replace tires and put coolant in your air conditioner. The best part about our team at Wayne Akers Ford is our technicians perform these services and provide you with a high level of customer service. Our service center is committed to making your automobile repair experience a pleasant one. Coolant flush services can keep your cooling system working effectively. The cooling system in your car consists of the water hoses, water pump, cooling passages and radiator. Flushing your cooling system provides several benefits for your car and wallet. This service removes scale and rust deposits that accumulate in your cooling system over time. Another benefit is the lifespan of your car's water pump will be extended. 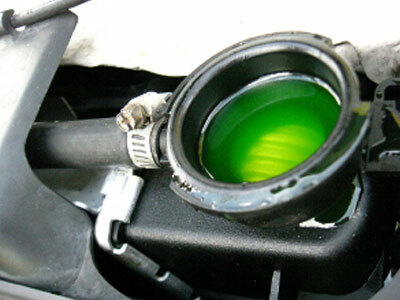 A cooling system flush removes clumps of acidic antifreeze that can clog your cooling system. A final benefit is a cooling system flush keeps your engine performing at its best. At Wayne Akers Ford, our certified automotive technicians recommend that you schedule this service regularly according to the instructions in your owner's manual. The life of your engine depends on the maintenance of your car's cooling system. Failure to get a regular coolant flush service can result in engine failure and expensive repairs. Old coolant and debris in your cooling system can cause your engine to overheat. When your engine overheats, the results can be warped cylinders and a cracked head gasket. Properly maintaining your cooling service is not something that you want to neglect. A car repair is only as effective as the parts that are used. For that reason, our certified automotive technicians only use quality original equipment manufacturer (OEM) parts for all services. With OEM parts, you can be sure that you are getting parts that will operate in the same manner as your original parts. OEM parts are backed by a one-year warranty. In most cases, this includes the labor as well. OEM parts provide a greater level of quality assurance than aftermarket parts. Aftermarket parts may be less expensive than OEM parts, but you sacrifice quality assurance when you purchase these parts. Many aftermarket parts manufacturers do not provide warranties for their parts. If a warranty is provided, labor may not be included. Another disadvantage of purchasing aftermarket parts is the quality of the parts can be inconsistent. Your initial savings by purchasing aftermarket parts may end up costing you more money over time.